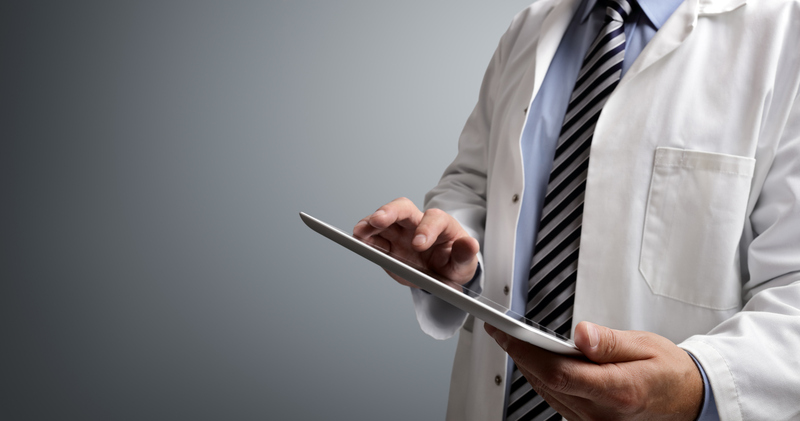 Why Isn't Pharma Adopting Digital Transformation? There isn't a content management system or smart device that can easily achieve digital transformation. and this is probably the most frustrating aspect of digital progress for pharma, an industry known for automating one method of product development and delivery with little change in the routine. Health IT (HIT) has made healthcare more affordable and accessible, providing an example of what IT infrastructure could mean for drug manufacturers. Why are pharmaceuticals hesitant to embrace more technological platforms? Traditionally, one strong marketing platform was used for route to market. This has allowed the industry to lean heavily on few drugs by aggressively promoting them and creating phenomenal returns. However, little operational reform has been forthcoming and may be overdue as development and marketing capital has also increased dramatically since 2002. Digital transformation is completely metamorphic, requiring pharma make a thorough assessment of its operational procedures and expenditures. European efforts towards digital transformation show it could add 1.25 trillion in industrial value creation by 2025, however the costs associated with this are also significant. Companies will have to consider all things digital first, and this will affect accounting, sales, and research. The new model may not be painless, but it will have many benefits in terms of operational reform. It may even humanize the industry at some levels, as digital transformation is ironically people-focused. Heuristic evaluation will require industry expert input for digital platforms which are user-centric and enjoyable. Prevalent management culture built during the last several decades will change. Adopting new technologies to streamline processes reserved for a marketing professional or consultant will mean healthcare models and consumer investment in pharma will change. From doctors to healthcare payers, the values and priorities of management may be progressively challenged. Management will need to change traditional marketing first attitudes in favor of seeking more technological solutions for their products and companies, encouraging employees and researchers to embrace the transformation. At the management level, consulting with digital transformation experts could assist in the streamlining of the process. Healthcare payers are instrumental in establishing an example of digital transformation efforts paying off. They are also a motivating factor behind keeping up with the times. Payers only want to reimburse therapies and drugs evaluated to be efficient and cost-effective. Pharmaceuticals won't be cost-efficient for healthcare payers more focused on savings costs that ever before. The internet of things (IOT) also enables patients to discuss alternative drugs and therapies online. Patients are now seeking alternatives to blockbuster drugs. Digital transformation means pharma and healthcare are on the same page regarding what works for the patients of today. Pharma is notorious in its aversion to transformation. The industry will likely struggle to create digital platforms to effectively evolve with its sister industries. It is worth examining further how healthcare has changed due to digital innovation. Due to an already thriving digital transformation of healthcare, pharma could benefit from the large amount of data that is out there. The recording, collecting and analyzing of information could re-shape the way that pharma does business. The ability to customize data to specific groups of people will be especially advantageous in creating genetics based drugs. There are many positive cases for digital transformation abroad. A well-known Swiss pharmaceuticals company have successfully onboarded several hundred patients using online communities to evaluate use of a digital app. Participants in the research gave positive feedback on the system's functionality and accuracy. Based on this research, the pharmaceutical company re-engineered its app and the content strategy. The pharmaceutical company also noted that they were able to engage with patients on a level that allowed them to improve drug effectiveness. Digital transformation has positive potential for designing drugs and engaging the individuals that need them, however, it is important for pharmaceutical companies to consider how to enact digital transformation. Organization change is difficult and many of these initiative fail. Major corporate investments are often not used as intended or abandoned after six months. These facts paint a dire picture for management and owners of operation who want to embrace digital transformation. It is important to remember that stakeholders will resist change at all costs. Especially when financial losses are not evident and reactive strategies don't appear necessary. In creating a proactive plan for the future it is important to demonstrate visible support and be involved in the process. Education and interaction has to happen organization-wide. All members of the company must be educated on how digital transformation will affect them for the good. Regulatory obstacles will be a challenge no matter the industry. However getting into digital discussions and interactions with regulatory agencies may decrease concerns over how digital transformation will affect the industry world-wide. These agencies are concerned about the risk for poor adoption of technology and potential misuse. Try to center arguments around the need for improving certain processes rather than selling a technology to them. Overall, it is important to stay positive as technology in itself is not a cure-all for what ails the pharmaceutical industry. Looking at technology to improve the way that pharmaceuticals are developed and brought to market will mean a trial and error phase, and not all technologies are made the same. If pharma can make educated evaluations of what its biggest hurdles are to creating and delivering drugs of a high-cost to the public, then everyone, patients and the companies that serve them, can win in the end.